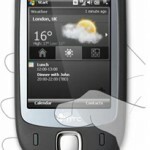 After upgrading to Windows Vista, setting up the communication between Vista and my HTC Touch was a PITA ! And I would like give the entire credit of this pain to Vista ! On Windows XP, Activesync did a very good job in syncing with the smartphone and I also managed to synchronize over Bluetooth. When I plugged in the handset (via USB) to the vista upgraded laptop, the windows mobile device center opened up and showed the connection status as "Connected". The "Waiting" status actually turned into "Connected" and the Storage card of the mobile phone (with the HTC Touch Photo) was also listed in Windows Explorer. Vista just gave me a feeling that everything was setup with no issues. However I couldn’t sync contacts/notes etc and I couldn’t even explore the device. I went through a lot of forum threads and none of them had a concrete solution for the above problem. In one of the threads I read about running Windows Update after connecting your handset. 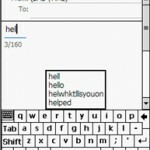 On doing this, Vista update suggested that there was an "optional" update for Windows Mobile Device Center. After I ran this update, I was presented with a totally new looking Windows Mobile Device Center. Programs and Services allowed me to get updates of WMDC. 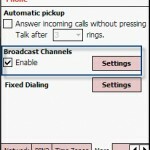 Mobile Device Setting allowed me to setup a "Sync" partnership with the device. So all that was required to fix the problem was to run Windows update ! But wait ! I ran windows update and the WMDC update never showed up !!! This is why I blamed vista in the first place for the pain it caused. The update showed up only when I connected the device which in a way was weird. So if any of you guys are having trouble setting up WMDC, run the Windows update after connecting the device ! I even managed to "Sync" over bluetooth with no issues. Let me know if any of you have still trouble setting up a sync partnership between your handset and WMDC running on Vista ! can you explain how you got syncing over bluetooth to work in vista. I can’t get that to work w/ my AT&T Tilt at all. my windows mobile model is 3350 .my mobile problem is when i am charging it wiil charge 100% when start music or any incomming call will come automatically battery charge will dicreases t0 60%.then i will receive 2to5 calls or up to 2 songs it is automatically switch off.i will switching on again battery will show 20% and after few mintues it will come to1% and switch off again.i changed the battery then also same problem.please reply with proper solution.and i need pune service centre adress.